The 1851 Issue of United States Stamps: Sequicentennial Retrospective Book 2006. Condition is Used. Shipped with USPS Media Mail. It is titled "United States Cancellations 1845-1869 - Unusual and Representative Markings" by Hubert C. Skinner and Amos Eno. 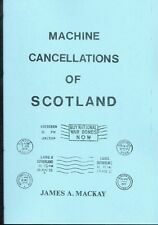 The book is in excellent condition and has probably thousands of examples of cancellations and where they're from and the dates. 127 pages in mint condition. The New York Postmaster’s Provisional. 127 Pgs. Stanley Piller. Condition is New. Shipped with USPS Media Mail. 4100 Abbildungen, 27000 Preisnotierungen. Viel Spass! IMPORTANT ADDITIONS TO THE 2019 EDITION This comprehensive catalogue covers Great Britain, Commonwealth and Empire countries 1840-1970. Guidance is given throughout the catalogue on subjects such as unusual usages, overprint settings, forgeries and much, much more. 1CATALOGO SASSONE. Dai un' occhiata alle mie inserzioni ! 637 pagine. SAN MARINO. CATALOGO PER FRANCOBOLLI. Indice del Catalogo. USA - Scott USA Pocket 2019 stamp catalogue. Published by Scott. Ring bound, hard cover. Auflage.846 Seiten, 10000 Abbildungen, 62000 Preisnotierungen. Australische Staaten, Australien, Cook Inseln, Aitutaki, Penrhyn, Rarotonga, Falklandinseln, Südgeorgien, Fidschi, Französische Gebiete in der Antarktis, Frz.-Polynesien, Gilbert- und Ellice Inseln, Guam, Karolinen, Kiribati, Marianen, Marshall Inseln und Mikronesien sind enthalten. Scott Supplement 2000 Master Canada. #26. New in Original Folder. New in original folder. Item has been opened. Über 675 Seiten. Informationen zur Online-Streitbeilegung. Anno: 2019. 1 SASSONE SPECIALIZZATO. PER FRANCOBOLLI ITALIANI. CORPO POLACCO 1a GUERRA MONDIALE (OCCUPAZIONI STRANIERE DI TERRITORI ITALIANI TERRE REDENTE). Indice del Catalogo. TRIESTE A.M.G.-V.G. REGNO D'ITALIA. Franz Breitwiesers Werk "Die Klassifikation der Österreichischen Korrespondenzkarten P1 - P 24. Ein Spezialwerk für die Ganzsachen Österreichs mit gelben Wertstempeln 1872-1876. Keine Wertangaben. PROSTITUTE REVENUE STAMP CATALOG, ROSARIO, ARGENTINA, NEW!! Each prostitute was given a booklet in which the examination results were recorded. 254 pagine. Antichi Stati - Reich - Occupazioni - Danzica - Sarre - Berlino - Repubblica Democratica - Repubblica Federale - Germania Unita. SPAIN - Edifil Spain 2019 edition Stamp Catalogue. SPAIN - Edifil Spain 2019 edition. Provinces listed. Most varieties listed. Featuring the established Scott numbering System. Full color. Dänemark, Estland, Finnland, Island, Lettland, Litauen, Norwegen und Schweden sind enthalten. 928 Seiten, 9000 farbige Abbildungen, 48000 Preisnotierungen. Informationen zur Online-Streitbeilegung. Der Stempelkatalog hat das bewährte Format 17 x 24 cm und umfasst, bedingt durch Ergänzungen und das neue verbesserte Layout, nun 240 Seiten. Dies ist gegenüber der 17. Auflage ein Zuwachs von 50 Seiten. 1CATALOGO UNIFICATO AUSTRALIA NUOVA ZELANDA. Comprende anche Territorio Antartico Australiano e Ross Dependency. 142 pagine. Dai un'occhiata alle mie inserzioni ! 1134 pagine. - REPUBBLICA DI SAN MARINO fino a giugno 2018. - REPUBBLICA ITALIANA fino a luglio 2018. 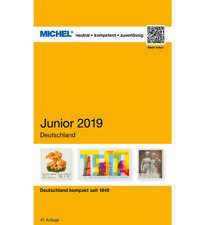 ISSUE MAY 2019. STAMP COLLECTING. EVENTS NEWS & MORE. We want to ensure that you are happy with your order. or looked through so are in mint condition. CECOSLOVACCHIA SLOVACCHIA REPUBBLICA CECA. Cecoslovacchia, Slovacchia, Repubblica Ceca. Polonia, Ungheria. 407 pagine. Lituania Centrale. Finlandia - Aland. Unapproved drafts (essays) are also included. , 9500 Abbildungen, über 50000 Preisnotierungen. The 2019 Brookman Price Guide uses the Scott numbering system and is easy to use with thousands of newly scanned illustrations. User-friendly identifier.Spiral Bound. And now, we invite you to take another look at us. Get It All! • Larger type for improved readability in several areas, including the Events Calendar and Classifieds. 2019 Scott Catalogue Pages. Scott Catalogue Pages 359-458. Pages Carefully removed from. Pages 359-458. Mint and the Used Values listed for each stamp. these pages provide a valuable reference tool, without the expense of buying the entire book. Alle Marken 1960-1968 in s/w abgebildet und genau beschrieben. (Scott Briefmarken Katalog GANZE Welt. Die Sprache ist Englisch, die SCHREIBWEISE der Länder also auch !, Irak, Iran usw.). Condizione: nuovo. Dai un'occhiata a tutte le altre mie inserzioni ! 1048 pagine. SAN MARINO fino a giugno 2018. REPUBBLICA ITALIANA fino a luglio 2018. Riepiloghi delle serie. “CODICI a BARRE ”. Catalogazione specializzata dei. A terrific work on the 20th century issues of Afghanistan. A wealth of information about the regular issues as well as imperfs, semi-officials and much more. Irlanda - Islanda - Lichtenstein - Lussemburgo - Malta - Monaco - ONU - Norvegia. Antichi Stati - Reich - Occupazioni - Danzica - Sarre - Berlino - Repubblica Democratica - Repubblica Federale - Germania Unita. 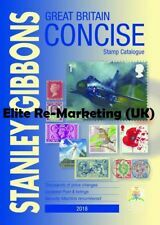 Catalogue de cotation timbres de France Maury 2019. Maury France 2019. Le Maury France poursuit son objectif d’apporter les informations les plus pointues afin de développer une philatélie plus experte.